Casa de los Angeles is an intimate family-run guest house offering bed and breakfast steps from downtown. Casa de los Angeles is an intimate family-run guest house offering bed and breakfast in the colonial city of Oaxaca, Mexico. The guest house provides terraces and patios to allow you to rest under the beautiful blue skies of Oaxaca. An elegantly decorated home with modern Mexican flair and Old World charm. The Bed and Breakfast of Casa de los Angeles its 800 meters walking distance from Church of Santo Domingo. 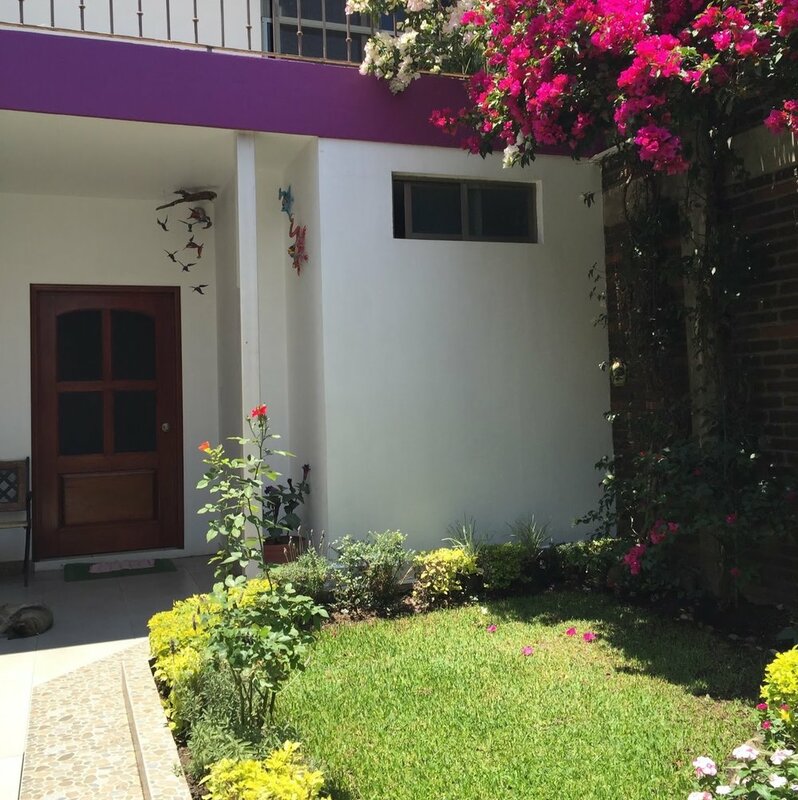 Casa de Los Angeles is widely known for its genuine hospitality, comfortable installations, authentic home-cooking and an excellent location in the charming, cobble-stoned neighborhood of Xochimilco, a quiet and safe residential area. Casa de Los Angeles is within walking distance of all the major tourist sites in the historic downtown area such as churches, museums, galleries, and markets, as well as the essential tourist services such as banks, restaurants, folk art stores, and the main post office. 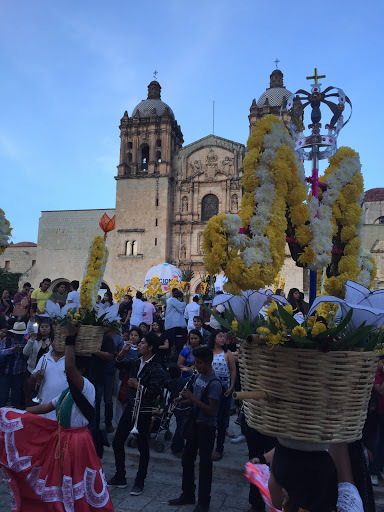 Oaxaca was declared as a World Heritage site by the UNESCO in 1987 and is renowned internationally for its cultural traditions, astounding folk art, excellent regional cuisine, and unique biodiversity. We invite you to enjoy this best preserved and most charming of all Mexico's historic colonial cities, in an atmosphere of comfort and Oaxacan warmth. Casa de los Angeles, we are always ready to help you with any local information you may require. You can be sure to enjoy a safe and relaxing stay with us. A lavish full breakfast is served daily by your hosts in the land of the clouds, Ma and Pa team, René & Paula Ángeles.Traditional mouth-watering Oaxacan cuisine that delights the palate. Casa de los Angeles is noted for blending the favours of the modern Oaxacan palate with the influence of famous traditional regional dishes. For the less adventurous, special diets can be catered for. Every morning Marthita make the best traditional coffee with fresh grounds and the local recipe to get one of the best experiences you can get from a cup of coffee at Oaxaca. One of their richness of Oaxaca is their nature, with fresh and organic fruits, every morning we have the opportunity to serve fresh juice according to the season fruit of the region. Oaxaca offers an infinite list of delicatessens, the bread it's one of them. The bread served at Casa de los Angeles, is fresh and homemade. There is a town called Tlacolula, where the people made the best bread every morning, and if you are on Dia de Muertos, you can get traditional Pan de Muerto. Located north of the Historic Center of Oaxaca, Casa de los Angeles is on a direct extension of the main tourist walkway Macedonio Alcala. If you're arriving by bus, we're only a 5 minute taxi ride from the 1st class bus station (ADO). If you're arriving by plane, we can pick you up at the airport.